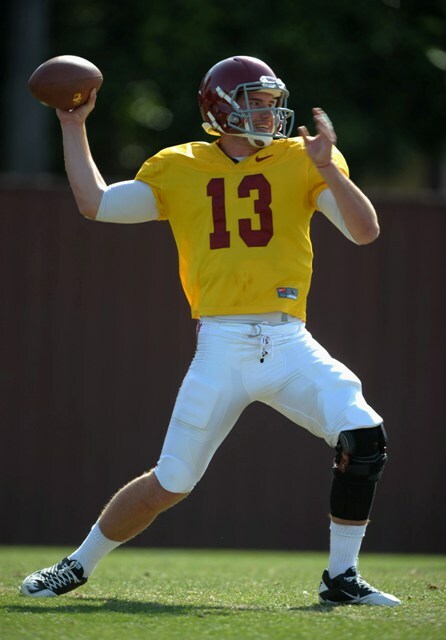 Matt Barkley will not play against Notre Dame at the Coliseum. He has a badly sprained shoulder after getting sacked late in the game Saturday. Redshirt Freshman Max Wittek will start against the Irish. No word on whether Barkley will be ready for a bowl game. Hi Trojan FANS,hey Kiffin screwed the fans all season a loser Usc football not worth any attetion until they rid themselves of kiffin and his ugly old man coach who is way over the hill!/This cal coach could be a answer he was the experience needed to be a headcoach! ?Barkley with confidence at a low ebb basically hid for the last game!!!?? ?under kiffin his play was all downhill this season! ?Sincerely, Edward ps EL STINKO big time!!!!!!! !